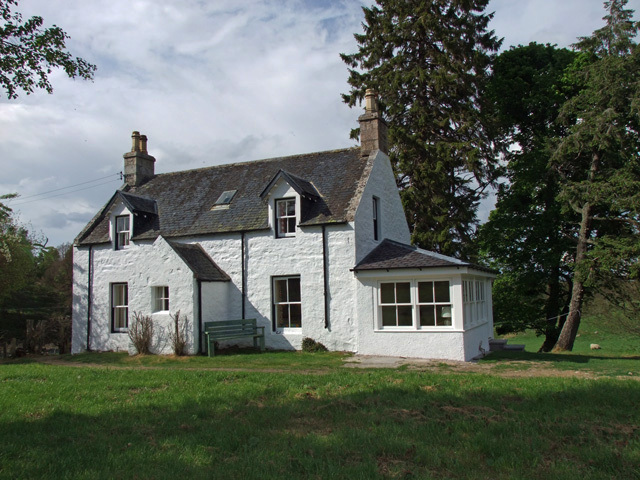 Kincardine Cottage is located on the Pityoulish Estate just three miles from Boat of Garten and five miles from Aviemore, in the heart of the Cairngorms National Park. The property is located in a quiet location, however with village amenities close by it makes it a perfect base for those wanting a rural location but with the benefit of having activities not far away. On entering the property through the traditional porch, guests will find themselves in a central hallway of which the sitting room, kitchen and bathroom are located. 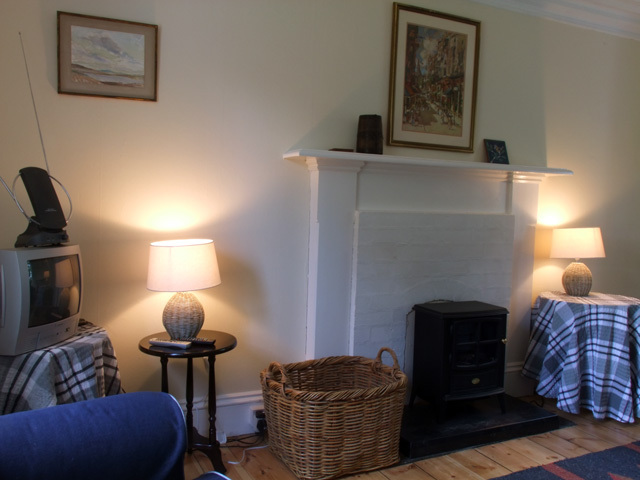 The sitting room is spacious and light and is furnished in an eclectic mix of modern and new furniture. 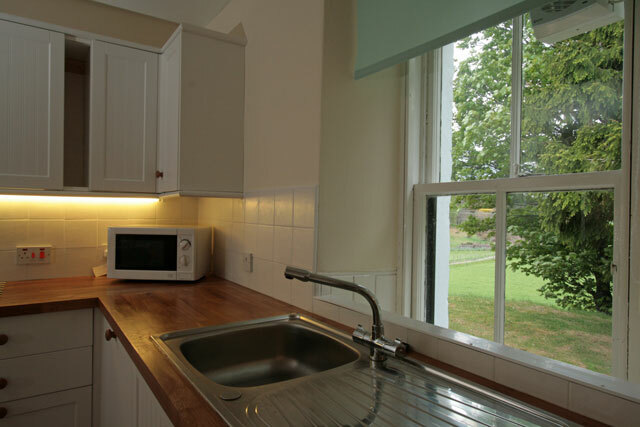 The kitchen is modern and benefits from having all the usual kitchen appliances and a dining table and seating for four, off the kitchen a door leads to the conservatory. A bathroom completes the downstairs facilities. 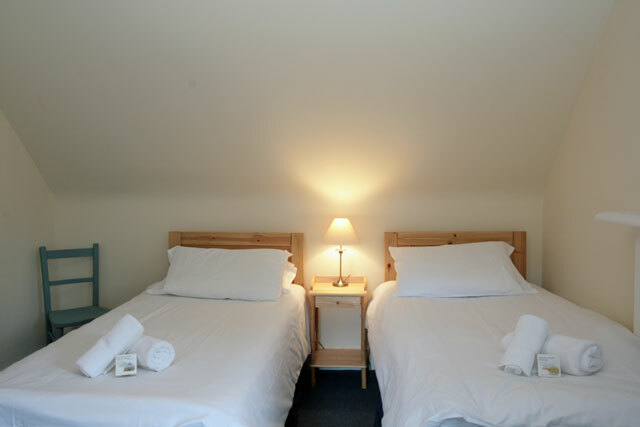 On the upper level two bedrooms can be found; a master with a zip and link bed that either can be made up as a double or twin room, and an additional twin. The property throughout benefits from retaining many of its original features such as the cast iron traditional fireplaces in the bedrooms and the original roll top bath in the bathroom. Outside a large garden area with some seating and parking for two cars completes the facilities. The rural location of the property makes it an ideal place to sit and enjoy the views of the surrounding countryside and mountains. The estate is home to a large amount of native wildlife including red squirrels and the occasional deer can be spotted in the garden. Not far from the village of Boat of Garten is the RSPB Reserve at Loch Garten, ancestral home of ospreys in Scotland, the reserve is an ideal place to visit for a day out to enjoy the forests and lochs. 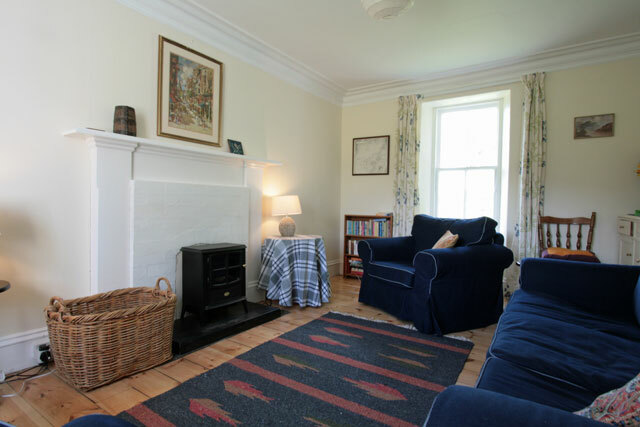 Lounge with wood burning stove, comfortable sofa & armchairs, freeview digital TV. 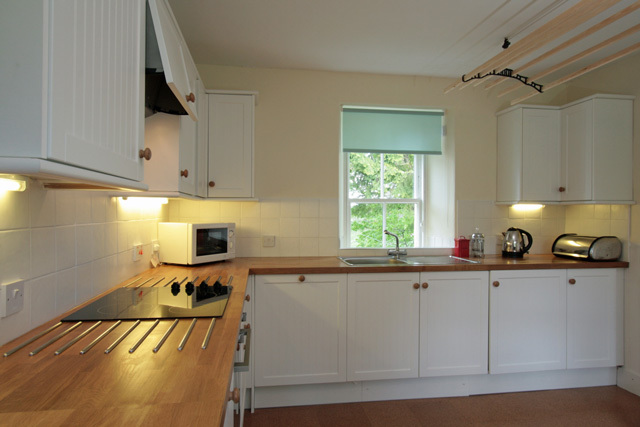 Fully fitted kitchen with electric oven, hob, fridge with small freezer compartment, microwave, dishwasher, washing machine, dining table and seating for four. 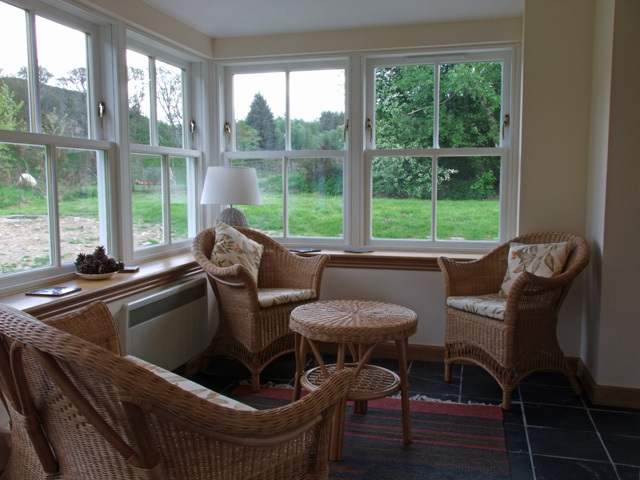 Conservatory with sofa and chairs, views and access to the garden. Bathroom with traditional roll top bath, wc, whb, heated towel rail, please note that the property does not have a shower. Master bedroom with zip and link bed, can be made up as a twin. A maximum of two pets are welcome, an additional charge of £20 per pet applies. 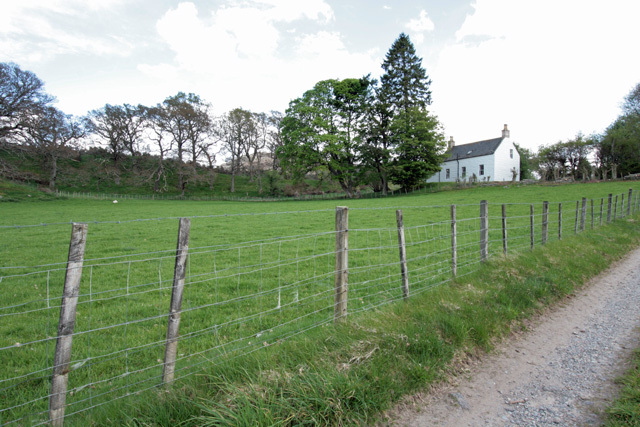 Traditional property situated on the Pityoulish Estate which guests are free to explore. Facilities of Aviemore and Boat of Garten within close proximity. 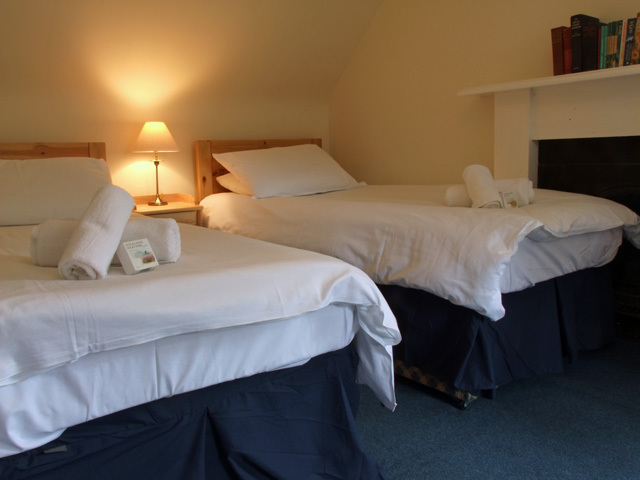 An ideal base to explore the Cairngorms National Park. We loved our stay at Kincardine Cottage. What a superb location, we explored, walked and went for bike rides straight from the door. The house is cosy (surprisingly so!) -we were there in a cool wet October. Its spacious, the beds, chairs and sofas are comfy. The outside bonfire area and picnic table are great. The bathroom and general furnishings/decor etc are quite basic, but this is reflected in the price. We plan to be back... it was real home from home. Thank you Kincardine! 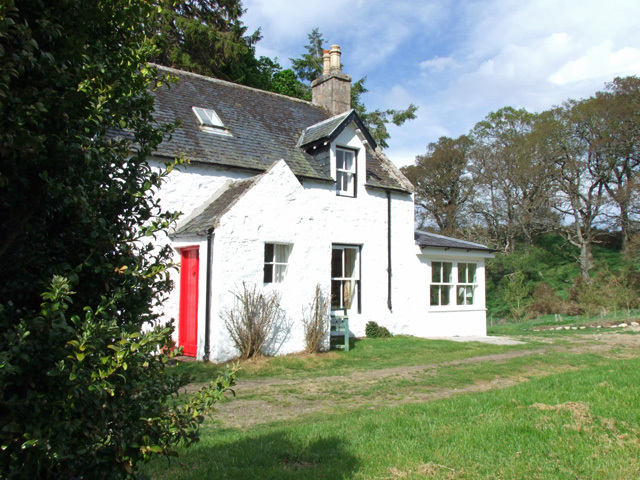 Fabulous cottage, really remote so very quiet and peaceful. 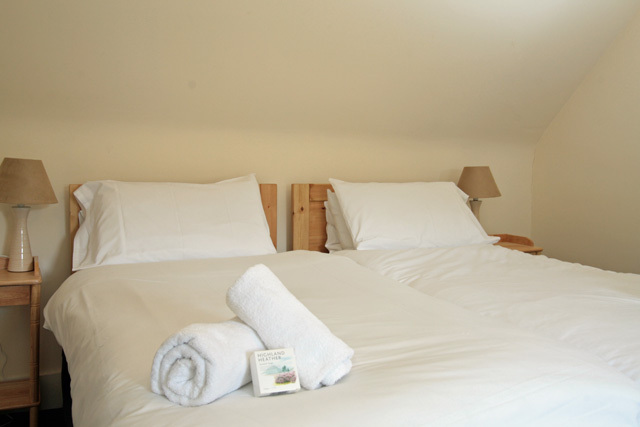 Very comfortably furnished and dog friendly. Enjoyed all the wildlife - fed the birds including a family of woodpeckers, had a visiting hare as well as a small deer! Fabulous walks, great local pubs! Will definitely return soon! Excellent property in a lovely location, lots of wildlife around and plenty of activities to do locally. 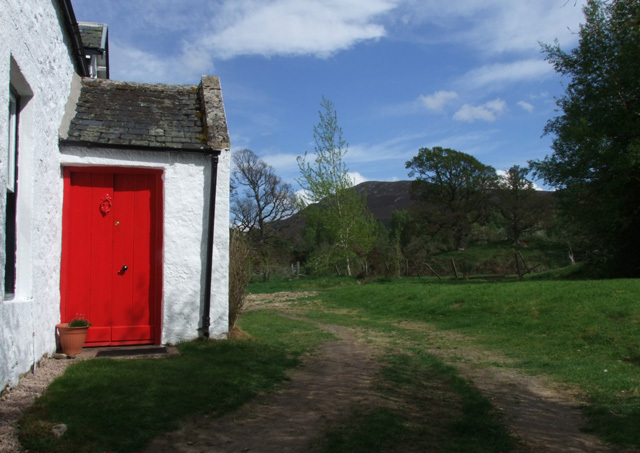 Cottage is in a brilliant location, with walks from the front door, although could do with more information about walks from the cottage ( rights to roam). Twin beds in main bedroom very comfortable. Could do with a visitors book to learn what others have done, places they found to walk, shop, eat etc, and places to avoid. One week not enough to do the things we wanted. Hope to return again one day. 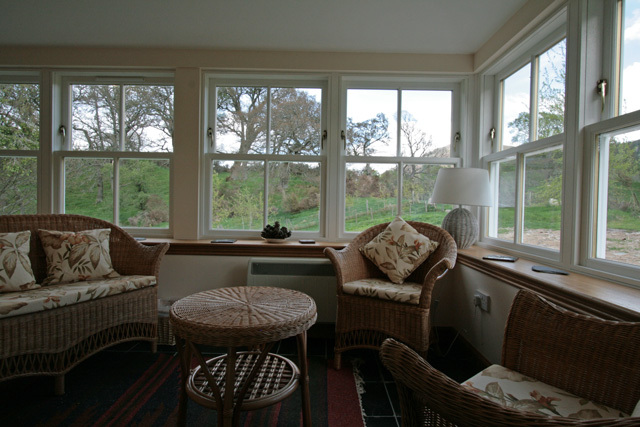 We enjoyed our stay at the delightfully tranquil Kincardine Cottage. Very much "away from it all" but very close to the amenities of Aviemore etc - a lovely base from which to explore the caledonian pine woods & the greater Cairngorm area. The daytime temperature during our 2 week stay varied between 6c & 25c(! ), but we found the cottage comfortable & warm - the log burner was most welcome during the colder evenings, whilst the conservatory & garden furniture was well used on the warmer days. Thoroughly recommended. 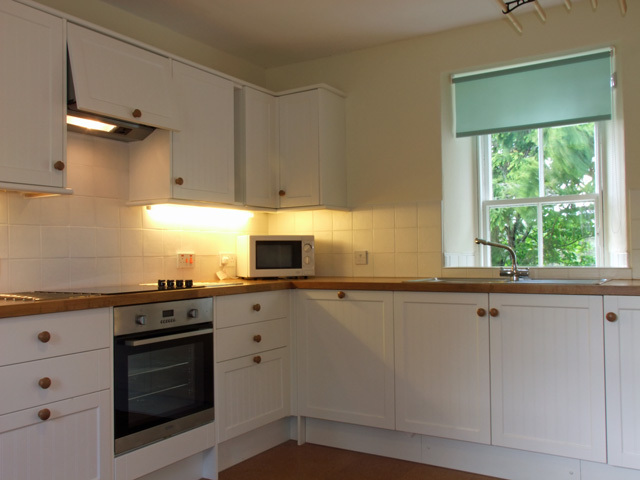 The cottage was exactly as described in the description and a few reviewers pointed out other aspects of the cottage, i.e. it is 0.4 mile off the paved road down a somewhat potholed gravel driveway, but we managed it just fine in a sedan. 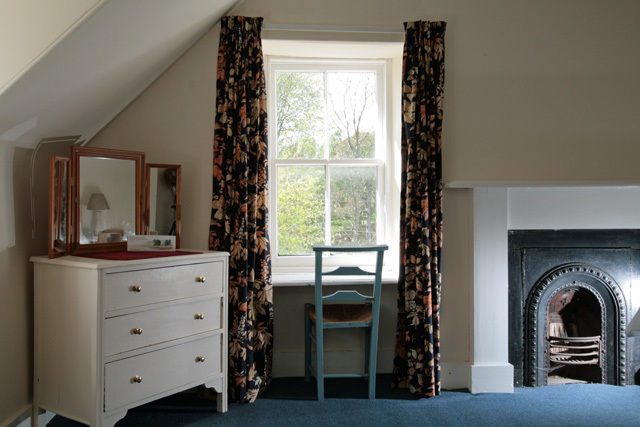 The seclusion is very much a part of the cottage's charm. The water is somewhat "peaty" so if that offends you, take bottled water to drink. The cottage is in a wonderful setting and there are several hiking & biking destinations that start right there at the front door. It was very comfortable and cozy and a fire in the wood stove in the sitting room was very nice at night. Beautiful situation, 1/2 mile up a rough track off the Coylumbridge to Nethy Bridge road. 2 double bedrooms which are very comfortable.. though bathroom is downstairs (quite steep stairs) so be aware of this if you have to get up during the night. Kitchen is well appointed, and Conservatory (modern addition) provides a perfect place to appreciate the sounds of nature. We took a collapsible Bird Table which attracted Woodpeckers & Siskins. Thoroughly enjoyable, if you accept the age & location. A lovely cottage beautifully located. Warm, comfortable and well equipped. The only downsides were the mile long track with potholes - good job we had a 4 wheel drive, and the brown water from the borehole. A shower would have made hair washing easier. 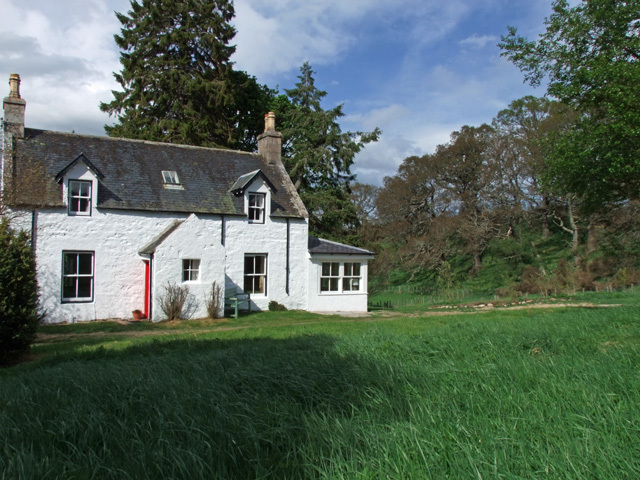 Had a week in Kincardine Cottage and used it as a base for days out. 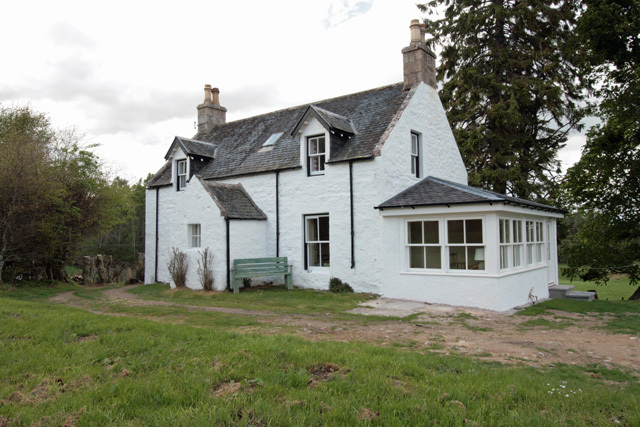 Ideally situated very secluded and quiet yet only 10 mins drive to Aviemore and the A9. 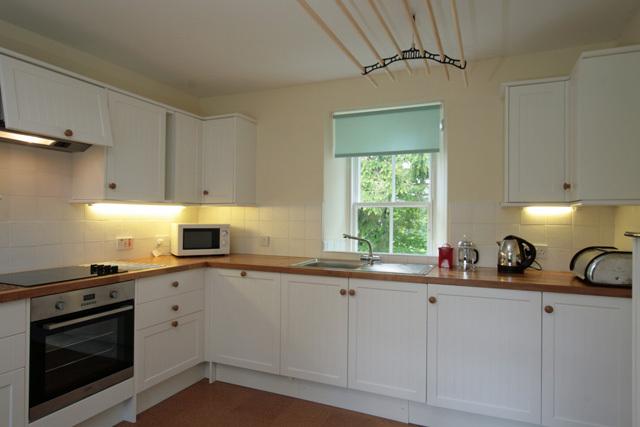 Very comfortable, clean, warm and well equipped no freezer though, other than the one in the fridge and bare in mind the cottage is in a rural location. Excellent views of the surrounding countryside. Totally enjoyed our holiday their.